Barney Savage is pleased to present is pleased to introduce TWINKLE, curated by John Silvis, which features multi-media artworks by IP Wai Lung (Hong Kong), KC Crow Maddux (U.S.A), Leonard Suryajaya (Indonesia/U.S) and Natasha Tontey (Indonesia), who embody mediated identities that transcend static constructs of gender and sexuality. The depiction of the self or personal narrative has been a rich topic for visual artists since the Enlightenment. Beginning in the eighteenth century, the artist’s identity was often framed within mythological or a biblical metaphor, whereas the contemporary dialogue includes extensive self-examination using the artist’s own body as a signifier. In particular, the mediums of photography and video give artists direct tools to vividly portray the mind and life of the creator, as seen in the oeuvres of notable artists such as Leigh Bowery, Pipilotti Rist, and Lucas Samaras. Twinkle presents the work of four emerging artists whose installations are punctuated by an autobiographical video work or stills that creates a context for supporting images that include photography, wall paper, mobile billboards and cut out silhouettes. Ip Wai Lung is a Hong Kong based multi-media artist whose first show will include a video made in Cambodia and recent photographic self-portraits printed on mobile billboards. His work emphasizes the loneliness and displacement of a post-passport generation, an identity of cultural blending that allows for diversity but does not fit into the expectations of the family. The figures he photographs are often in confusing settings or covered in rubber body suits, which are both beautiful and haunting. The video Qingdao Lotus Pond, 2018 speaks to the complexities of Chinese culture, as it hovers between communism and capitalism, idealism and restriction. The passive-aggressive relationship to gender and sexuality is a layered part of the conversation that he hopes to engage. Brooklyn-based trans artist KC Crow Maddux has always used his body as the image source. Reflecting specifically on what it means to live in a trans body, the work in Twinkle is from his recent series TransFigured Diction/a body puzzled, 2019 which combines transparencies and three dimensional cut out panels with painted forms on the wall. 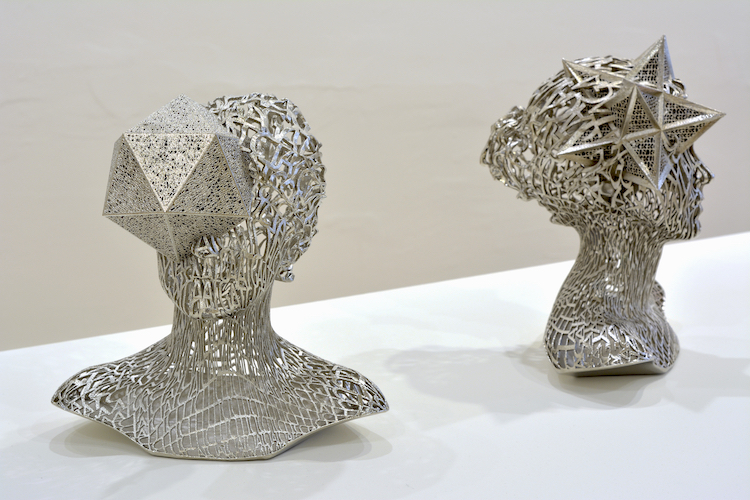 These captivating assemblages invite the viewer to consider the physical body suspended from its expected interpretation. The shapes Maddux has chosen allude to the body— toes, arms, ribs, guts, breasts, and eyes. According to the artist, these shapes, which are bold, clean, and brightly colored, are frames that offer an intimate human element to the literal body-language surrounding the photographs. The frames appear totemic and meld disconnected body parts into one, creating a playful contrast to the images of the body. Many of Leonard Suryajaya’s investigations are rooted in the particularity of his upbringing as an Indonesian citizen of Chinese descent, as a Buddhist educated in Christian schools in a Muslim-majority country, and as someone who departed from his family and his culture’s definitions of love and family. He explores these tensions in everyday interaction, and his work captures potential disruptions stirred by queer relationships. Suryajaya’s photographs and videos cumulatively establish narratives that document family histories, play out fantasies, test group dynamics, or use the format of the interview to turn his sitters’ gaze back upon his role as artist and facilitator. His elaborately staged photographs are bursting with competing patterns and colors that create often absurd but affectionate tableaux featuring his immediate family and/or partner, which point to more universal stories of exile, religion, citizenship, duty, and belonging. Natasha Tontey is a young artist from Yogyakarta, Indonesia who is known for her boundary pushing performances and cryptic, slightly irreverent animation films. The Manifesto of Tactile and Fanciful Tactics on how to build a Speculative Future through 1.0 list of an alternative and plausible cosmic solution, 2018 is a poignant text written in the style of public service announcement that suggests an alternative progressive culture that does not rely on binary norms or prescriptive religions. The Almanak, 2018 is a glitchy digital animation based on actual prophesies Tontey receives from a psychic that clearly reflect the given social norms, from becoming someone’s wife and bearing children before turning thirty, to stereotyping behaviors based on appearance. Using a pseudo science-fiction narrative and taking inspiration from xenofeminism, Tontey’s most ambitious video work to date explores reality by drawing together past, present, and future into one narrative. Working in Chicago, New York, Indonesia and Hong Kong, the artists Ip, Maddux, Suryajaya and Tontey express their ideas about the self within the parameters specific to their divergent cultural contexts. They express their visions thoughtfully and courageously in how each of them inhabit their work and navigate the complexities of queer identity. Their poignant works poetically engage the viewer in a personal dialogue about gender norms, sexuality and religion in a polarized world. 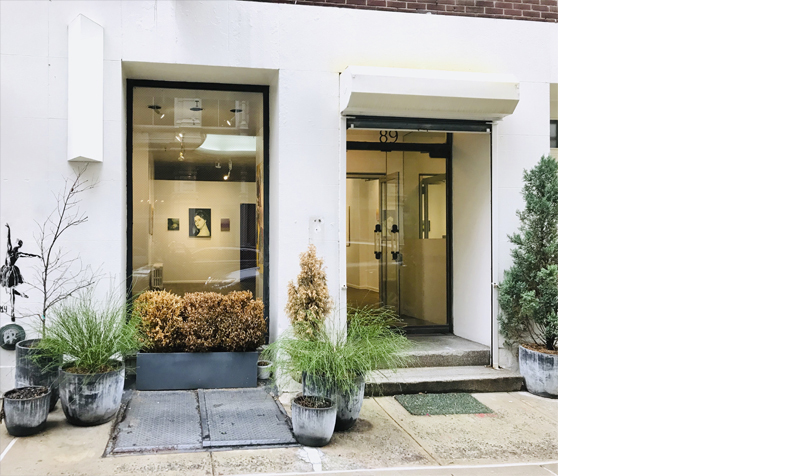 Barney Savage is pleased to open our second space just next door, a beautiful popup gallery located at 89 Franklin Street, New York, NY 10013. 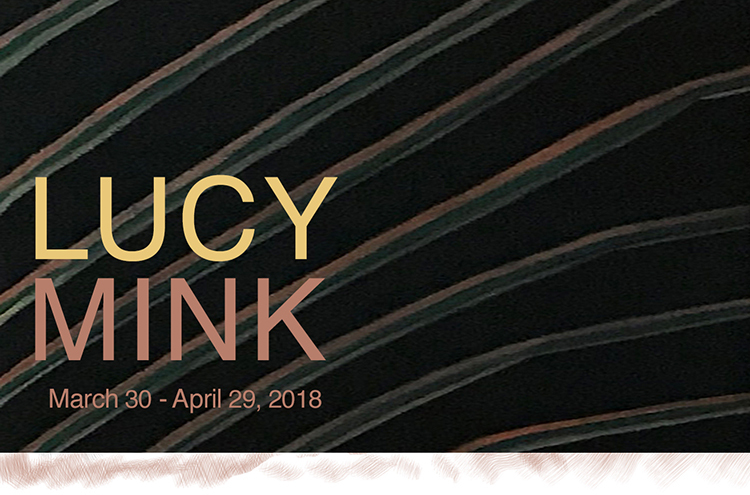 The gallery space will feature gallery artsits Jillian Denby, Shane Hope, Lucy Mink, Jenny Morgan, Olivia Locher, Jacob Cartwright and Tim Zercie. Our second floor gallery at 87 Franklin Street is closed for installation and will reopen April 13th, 2019 with our upcoming exhibtion Twinkle, curated by John Silvis. We look forward to your visit. Jenny Morgan, Echoing Green, oil on canvas, 29 x 23 in. Barney Savage Gallery is pleased to present our Autumn Invitational exhibition, featuring a selection of artworks by contemporary artists who work in a variety of new, as well as traditional media. Each has shown a significant voice that resonates within a visually compelling and relevant approach to contemporary studio practice. 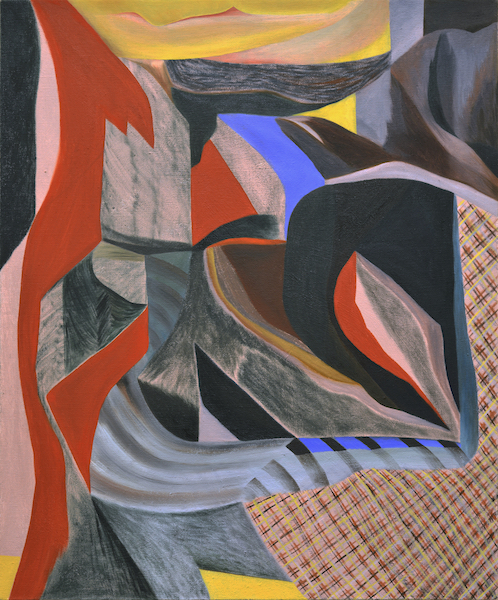 Jillian Denby, Disguise, oil on linen, 48 x 30 in. 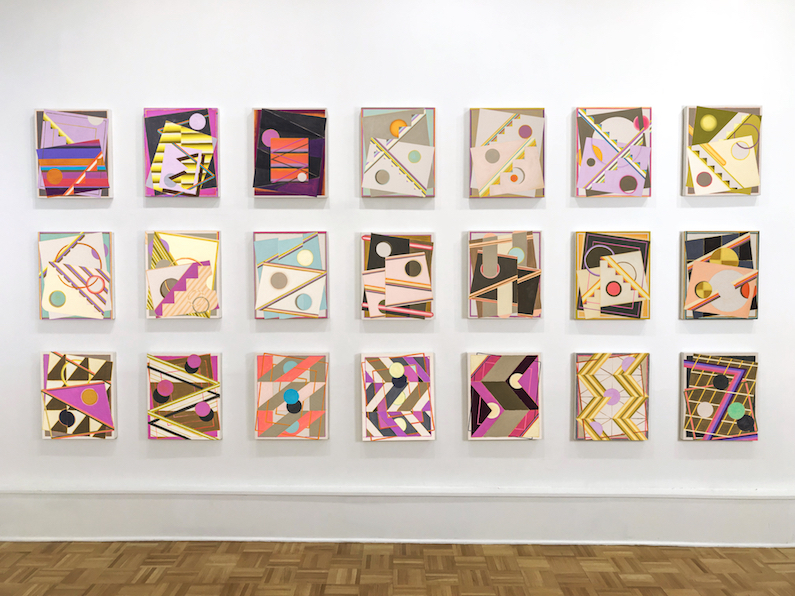 Barney Savage is pleased to premiere This is real and that's not, a new exhibition of recent paintings by Jillian Denby. Acclaimed for her very large figurative oil paintings, this exhibit presents her work in a more modestly scaled and conceptual level, investigating the quotidian passage of time. Denby's compositions appear poignantly intimate, as her quasi-voyeuristic observations capture human behavior with painterly alacrity. Working in upstate New York, the artist has the ability to observe directly from nature and incorporate into it what she already knows about the human figure, turning her experience into compelling and credible images. Different days present various atmospheric or climatic conditions that are advantageous to specific images the artist is working with. She often makes adjustments to her environment, in order to reflect spatial arrangements she may desire for her vision. Within a natural wildness she puts together multiple task related activities that appear at the same time, as part of the same image. Looking into the space, sometimes looking out, figure groups are included as they offer human scale to the landscape as well as noise, grouping and color. Working with visual polarities, she pairs chaotic against quiet, busy figures against simple, work-like against serene; things that are not always complimentary, but together create a dynamic balance. The stark differences between the control an artist has over figures or domestic situations juxtaposed with a lack of control over nature is something to consider in Jillian Denby's work. Through the natural portals depicted in these new paintings one can view the various attempts to dominate wild surroundings. The artist leaves the viewer lost in it, having to just let go. Jillian Denby was born in 1944 and lives and works in upstate New York. 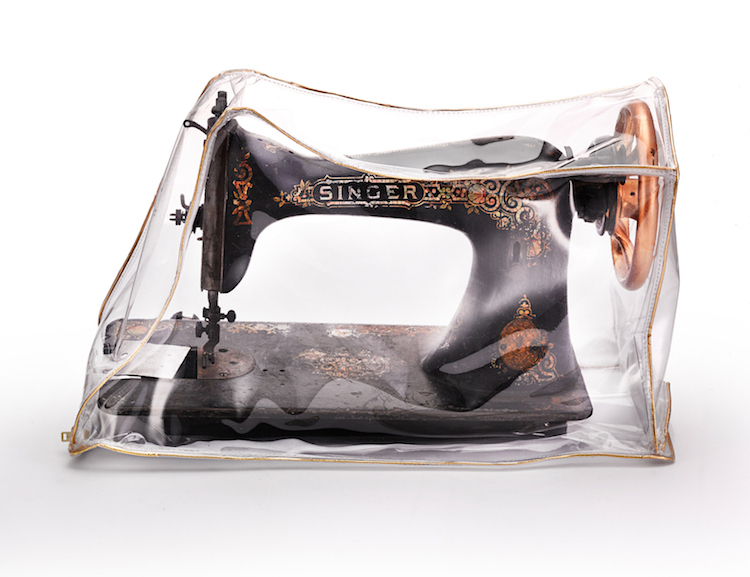 Her work has been the subject of many solo exhibitions in New York and nationally. She is the recipient of three awards from the National Endowment for the Arts, has received two fellowships from Yaddo as well as two artist-in-residence grants at the Roswell Museum of Art. Her artworks are in numerous collections including the Hirshhorn Museum. Barney Savage is pleased to present Bonjour Tristesse, curated by Julian Jimarez Howard, featuring works on paper by Jillian Denby, Nathalie Jolivert, Suyeon Na, Gahee Park, Mithu Sen, Hiba Schahbaz, Sam Vernon, and Lily Wong. Recasting the title of Françoise Sagan’s iconic tragedy, a line she borrowed from the poem À Peine Défigurée by Paul Éluard, Bonjour Tristesse is an exhibition that looks romantically, if also critically, at certain kinds of melancholia. The eight artists each take a particular illustrative lens, through which they poignantly address social relations, both structural and inter/intrapersonal. The exhibition serves as a reaction against the spectacular in favor of an appreciation of the intimate. Through a deliberate focus on the body, its gestures, and expressions each artist creates a world of emotion, an interior narrative sometimes opaque in details yet, overflowing with tone. An intuitive collection, the work selected here is as much about looking at others as it is about looking at one’s self… To borrow from Oscar Wilde, “It is the spectator, and not life, that art mirrors.” Much like the protagonist in Éluard’s poem or even Sagan’s novel, we find ourselves alone, gazing longingly at a beautiful misery, just out of reach, and yet somehow all too familiar. Jillian Denby, Two Women With Balloon, oil on prepared paper, 22.5 x 21.5 in. Working with self-imposed structuralist plans, Paolo Arao set out to create a new 18 x 15 inch painting in a single session each week during the 2017 calendar year. 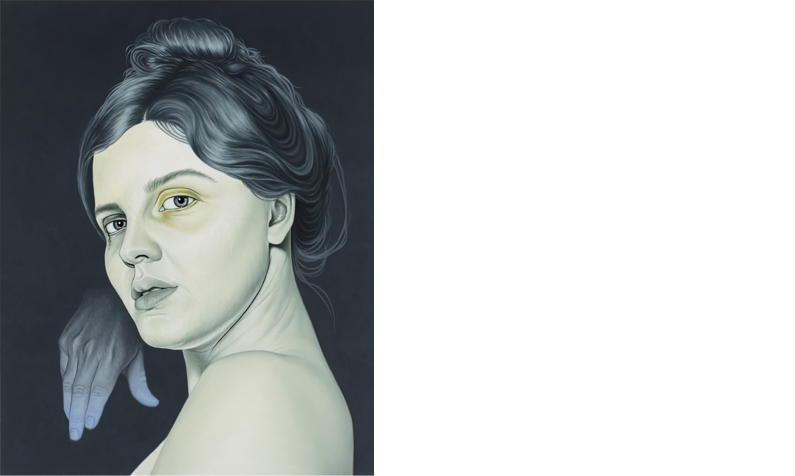 The result is a body of 52 dynamic paintings that explore the idea of queer imagery without the depiction of the body. The gallery is pleased to present all 52 paintings in their entirety, some of which are done directly on canvas or linen while others are pieced and sewn together. 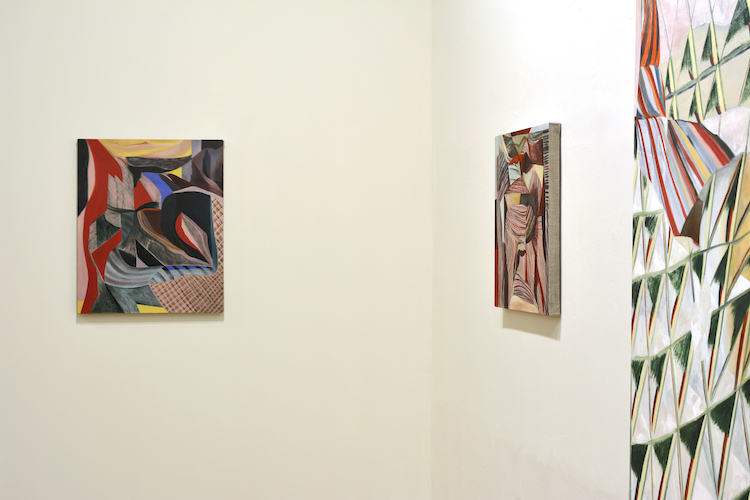 They have been hung in grids throughout the gallery creating a week-to-week fluidity. 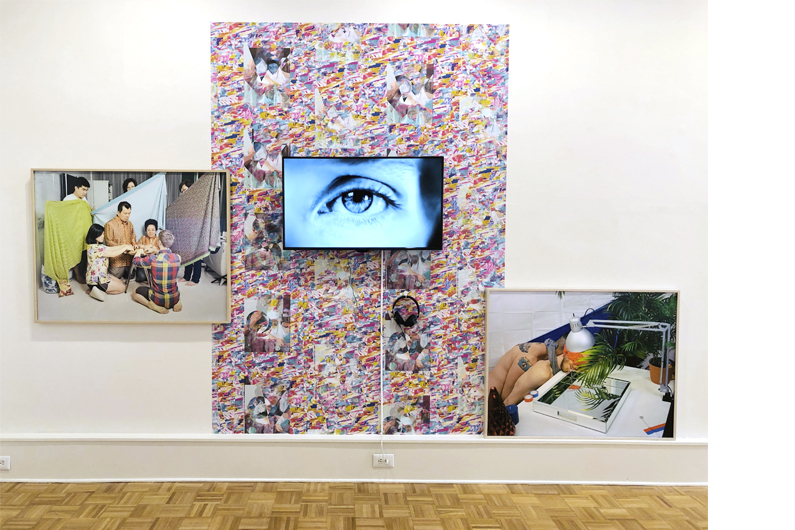 The installation serves as a calendar of sorts, where no piece is more important than the next but each contributes to a continually evolving queer narrative. Establishing a structural challenge with a few rules gave Arao a heightened sense of freedom that can be found in the presence of overcoming an opposition. Arao’s identity and life history became a reference for his weekly exercise in pushing the boundaries of his visual language and through different themes and variations, the artist also identified connections between a nomadic life growing up in a military household, moving from location to location. 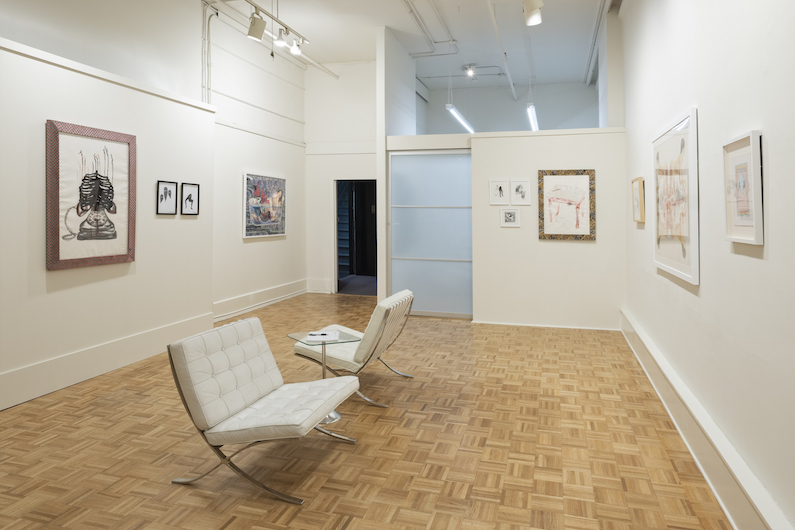 Each painting’s title begins with a number for each respective session followed by a description in parenthesis, alluding to personal or queer narratives that further challenge viewers looking for a “straightforward” meaning in a title. His approach to image making resonates within changing meanings of queer identity, also seen in the work of artists like Elmgreen & Dragset, Robert Rauschenberg and Felix Gonzalez-Torres. Paolo Arao brings an innovative in-tune sense of painting in a time of fast imagery and employs a personal vernacular of abstraction to challenge structures of gender and identity by bending or queering the geometry in his chosen motifs and color sensibility. Paolo Arao (b. 1977, Manila, Philippines) has had solo exhibitions at Jeff Bailey Gallery in NYC and Franklin Art Works in Minneapolis. Residencies include: Skowhegan School of Painting and Sculpture, The Studios at MASS MoCA, Fire Island Artist Residency, the Bronx Museum of Arts, the Wassaic Artist Residency and the Vermont Studio Center. He received a NYFA Fellowship in drawing in 2005. 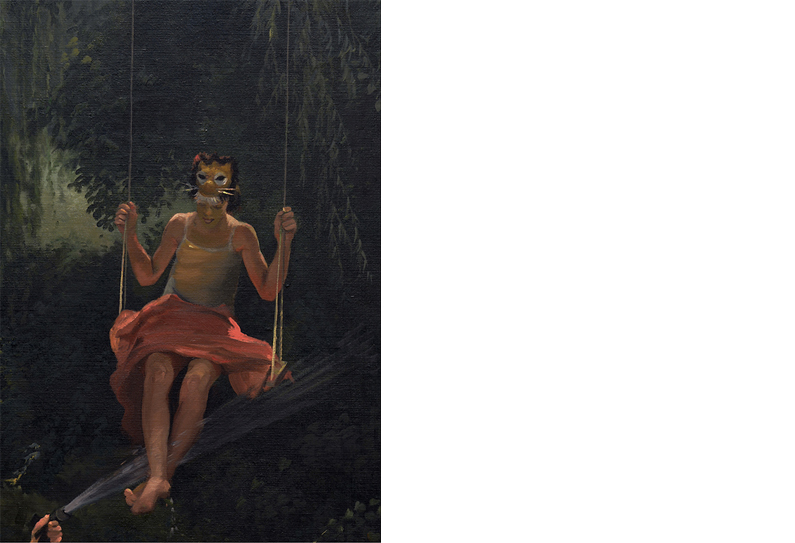 His work has been recently published in New American Paintings, Maake Magazine and Esopus. He received his BFA from Virginia Commonwealth University and is currently a Keyholder Resident at the Lower East Side Print Shop in NYC. June 22, 2018, - maake magazine: Interview with Paolo Arao. June 20, 2018, - Whitewall: Must See New York: Nick Cave, Justine Kurland, Paolo Arao, and More. Barney Savage is pleased to present Amulets Ethereal, a group exhibition curated by Jenny Mushkin Goldman, featuring works by Kharis Kennedy, Adam Krueger & Tableaux Vivants, Victoria Manganiello & Julian Goldman, Qinza Najm, Cheryl R. Riley, and Ashley Zelinskie. 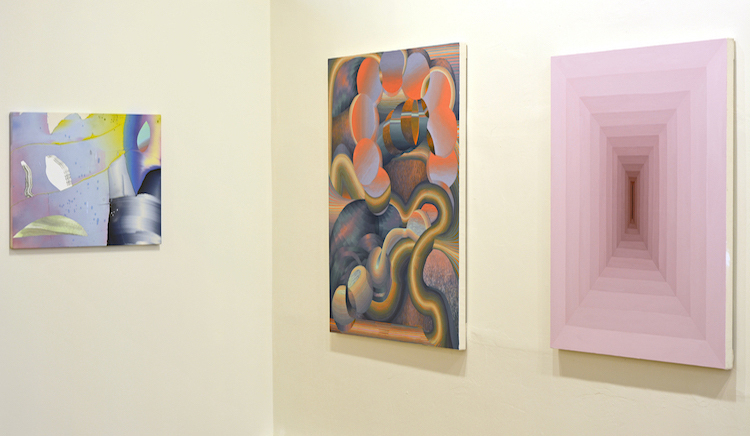 Barney Savage is pleased to present Lucy Mink, in her first solo exhibition at the gallery. There is a unique exuberance in this selection of new oil paintings. These modest worlds all have an inner space that is alive with the movement of bright floral hues. They both spring forth at one moment, with visual poetry, and elegant gestural brush strokes; creating movement and guidance for the eye; while then retreating into intimacy. The corners of inviting shapes, and terrains play on figure ground relationships, and are cloaked with patterns, and motifs reminiscent of quilts, fabrics, and flattened color relationships. There is a story here, undefined by narratives, and instead is a moment like before a blanket settles on its resting object, whether that is a love seat, or a mountain, or a coalesced space, somewhere between still life, and a full heart. The titles of these exhibited paintings invite further intrigue. Some resonate like a glib answer to a question spoken between close friends. Others are like notes, and reminders that have a subliminal familiarity, that almost complete the experience of viewing, by returning you to your own subconscious order. Lucy Mink, b. 1968, was recently included in Color We’ll, Curated by Alex Allenchey, at Barney Savage Gallery. She was a grant recipient for the Pollock-Krasner Foundation in 2012, and has since been exhibited in New York and Brooklyn. She is the upcoming artist-in-residence at Dartmouth College, NH, and will be exhibited at Dartmouth’s Jaffe-Friede Gallery, Fall 2018. (above) First Hangouts, 20 x 24 inches (51x61cm), oil on canvas. If You Want It, 20 x 24 inches (51x61cm), oil on linen. 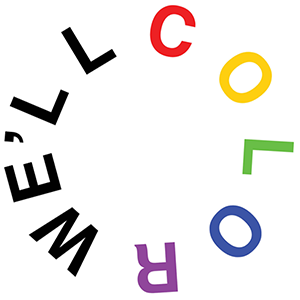 Barney Savage is pleased to present Color We’ll, the gallery’s inaugural exhibition curated by Alex Allenchey, featuring paintings by Andrea Bergart, Lucy Mink, Corydon Cowansage, Theresa Daddezio, Emily Kiacz, and Lauren Silva. Color We’ll brings together a collection of painters whose work, while all rooted in abstraction, proceeds in different directions, like spokes from a central axle, showcasing their own personal revolutions within a larger movement. Each artist traverses a unique aesthetic avenue and leads the viewer, either in a direct or more roundabout way, toward an individual experience of form and color that is both distinct and dislocating, intimate and unbound. Lucy Mink ’s compact abstractions act as a visual diary of internal experience. Repeating lattices evoke a terrain of the mind where foreign and familiar ideas are concealed and uncovered through subconscious exploration. Also playing with conceptions of place, Corydon Cowansage confronts the viewer with immediately indecipherable perspectival paintings. Flattened and compressed geometries slowly yield to examination however, as color changes divulge hidden depth and unexplored space. The irregular shapes and inherent luminosity of Emily Kiacz’s paintings play with staid notions of the medium’s materiality. 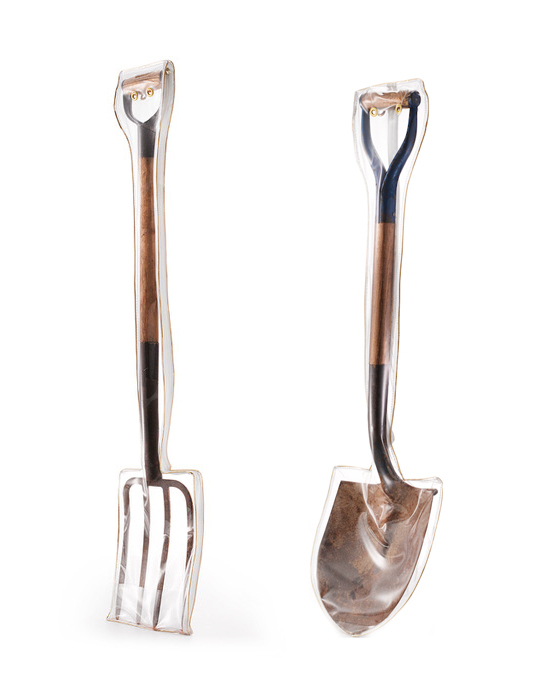 Breaking from traditional forms, Kiacz proposes a lighter and brighter future. 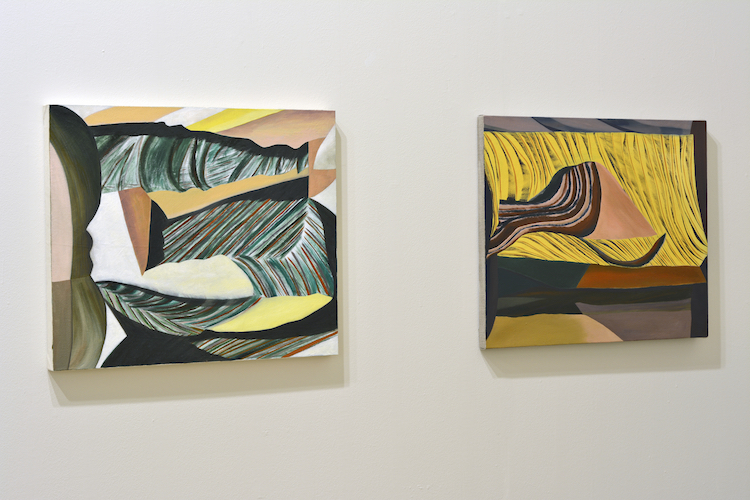 Lauren Silva similarly works to present a fresh perspective, pairing new processes with traditional approaches. Seamlessly unifying digital and analog techniques, Silva provides a slimmer of hope for our increasingly divided attentions. 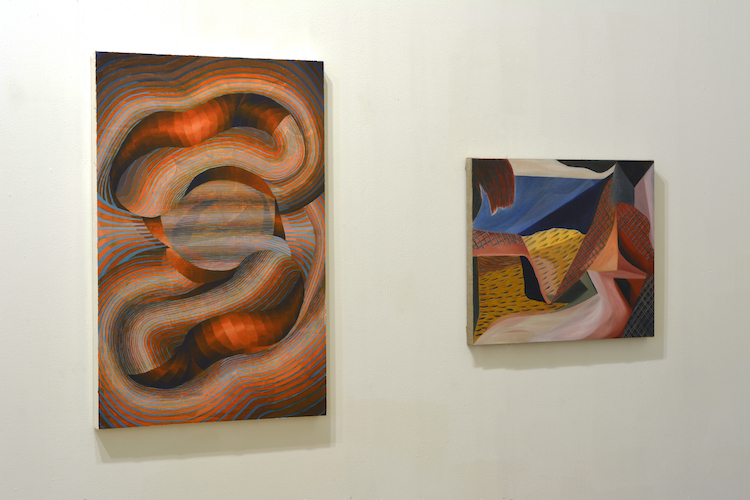 Theresa Daddezio’s paintings are populated with organic yet otherworldly shapes. Subtle shifts in tone conjure a tangibility from optical effects, and imply that there may be even more than what the eye can comprehend. Drawing inspiration from incidental details of everyday urban life, Andrea Bergart melds textures and painting techniques from her personal travels and encounters to create patterned pieces full of vibrant colors that call our attention to the often unnoticed and accidental splendor of the world around us. Copyright © 2019 Barney Savage and respective artists. All rights reserved.